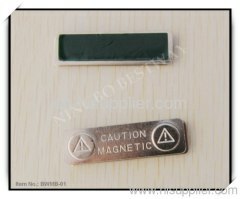 We are one of the professional China manufacturers work at Magnetic Badge(Magnetic Badge ). 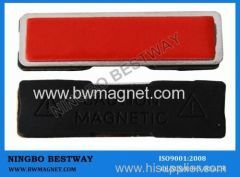 The following items are the relative products of the Magnetic Badge, you can quickly find the Magnetic Badge through the list. Magnetic Badge Holder is a great and fast way to attach and display identification tags for employees,visitors and vital personnel and be used more. 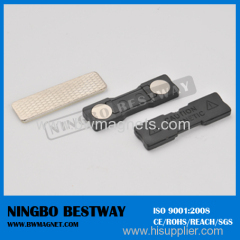 Ndfeb magnetic fasteners are crafted from the highest quality neodymium in the world.This means that your name badge stays firmly in any materials. 1. 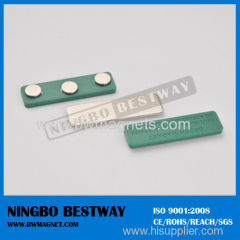 Materials: The Neodymium magnet with the metal(or the plastic). Magnetic badge is designed for suits or other clothing that you don't want to be damaged,suitable for visitors,employees and wearers of indentificant. 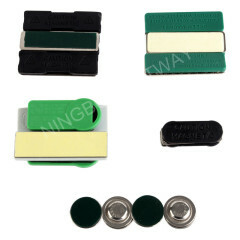 The Magnetic Name Badge could hold on the coat very easily, you need no needle,nor brooch, nor clutch, nor additional glue. 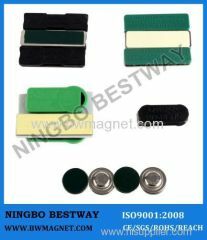 The magnets set the bar for strength and durability, and have earned top safety rankings.Magnetic fasteners are recommended for front-line staff. 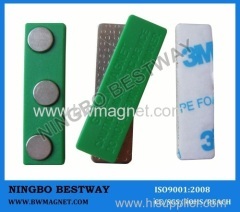 Group of Magnetic Badge has been presented above, want more	Magnetic Badge and Magnetic Badge , Please Contact Us.